The top things to do in Vienna are guaranteed to fill up an itinerary for more than a week. The capital of Austria and the largest city as well is the cultural, economic and political centre of the republic. Vienna was once home of the Hapsburg court and other empires, hence the large number of historical landmarks in the city. In addition, the city centre is also declared a UNESCO World Heritage Site. Party with style. And we’re not talking about going to night clubs or enjoying the nightlife in Vienna. One of the top things to do in Vienna is to attend one of the glamorous balls in the city, especially during Carnival season. Some of the most elegant balls in the city are held in the State Opera, such as the Opera Ball and the Wiener Philharmoniker ball. Check out schedules of Viennese balls in the Vienna City Council. Take a river cruise. Vienna is situated on the serene Danube River which many other prominent European cities rest. You can take a day cruise on the Danube in Vienna, or embark on one of the historic river cruises in Europe that stops at one of many interesting cities like Budapest, Bratislava and Linz. Open-air-film festivals. If you visit Vienna in summer, then you’re just in time to enjoy the open-air-film festivals in the Karlsplatz, Vienna Turf Krieau, the Prater, the Arena, and the rooftop of the City Library. Classical music concerts. From May to September, you can enjoy concerts of the Vienna Hofburg Orchestra in Redoutensale of Vienna’s Hofburg Palace, or the Festival Hall. Sample Viennese delicacies. Tasting delicious Viennese food must always be included in any Viennese vacation itineraries. 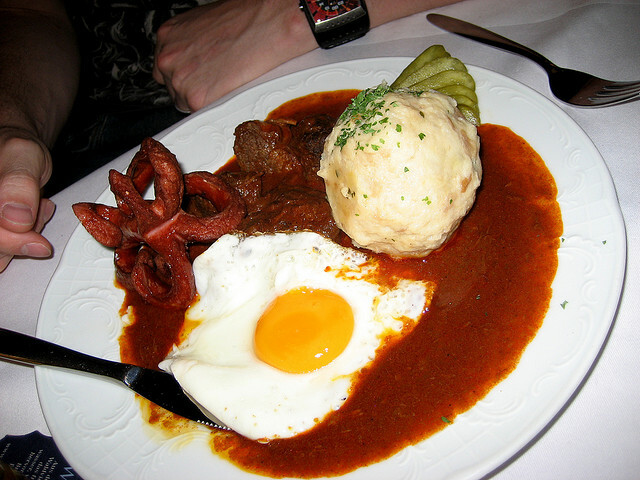 Go to a Viennese restaurant and you’ll surely find items in the menu you’ll never find anywhere else in the world! Hence, it’s a must-try. Viennese food are available for all budgets, from more affordable options such as fast food sausages in snack bars and sandwiches from the deli counters in supermarkets, to gourmet meals in upscale restaurants. But whatever you choose, never forget to cap a delicious meal with a delectable Eis or ice cream. There are a great number places you can get delicious ice cream all over Vienna. Coffeehouse culture. If there’s one thing Vienna is famous for, it’s its “coffee culture”. Even with the existence of popular coffeeshop chains in the city such as Starbucks, nothing beats the coffee culture you can find in traditional Viennese coffeehouses or Kaffeehäuser. Aside from their to-die-for brews such as the Schwarzer (the Viennese take on the famous espresso) and Großer Brauner, the culture in these coffee houses are something worth observing. So if you’re in Vienna, make sure to drop by one of the Kaffeehäusers in the city and soak in all that culture (and enjoy a cup of delicious coffee as well).